To jump into left field. 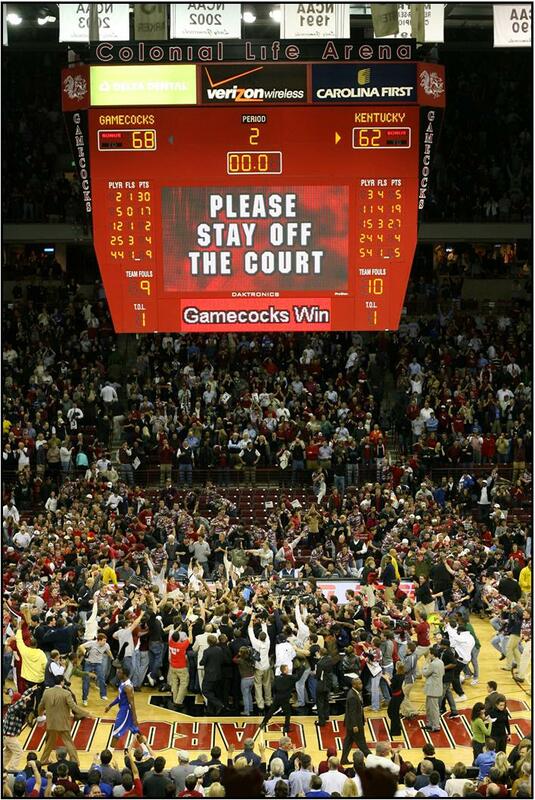 The Gamecocks beat No. 1 Kentucky this past week in basketball. It was a huge victory for USC and the fans rushed onto the court to celebrate. The image in the paper showed the jubilate crowd, all the while the scoreboard declared, “Please Stay Off the Court”. In our specialized world, we often regulate outsiders off the court and into the crowd. What could they have to say to us—they do not have our knowledge? Secular society does this when the church offers criticism. As if God has no place in the public square (which He created). But we in the church often do the same thing when secular society calls us out. As I watched the movie To Save A Life I could not help but think of the similarities between our youth groups. So often we become the image of secular complaint—acting as judgmental hypocrites, rather than forgiven sinners! In this act we announce to the rest of the world that they have no place here, “Please Stay Off The Court”! **We specialize even in the church, where we no longer have an all encompassing pastor. Instead we have children, youth, music, and mission pastors—so that Greg can focus on the young and medium Adults, while Rodger keeps us organized (only the miraculous Keith can tame all the ages).